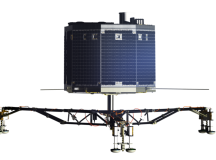 The Philae spacecraft that landed on a comet last week has gone to sleep. But the good news is that scientists are hopeful that we haven’t heard the last messages from the spacecraft. 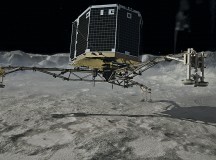 Scientists recently landed a spacecraft on the icy surface of a comet that was travelling 130,000 kilometres an hour. Now, we’re getting information, photos and sounds from the comet that just might tell us something about our own origins.